Roosevelt Elementary School at 430 E. Washington Lane in Mount Airy. Two of the four schools adopting the Philadelphia School District's turnaround model in the fall will get new principals to shepherd student progress efforts. Two elementary schools – Luis Munoz-Marin and Roosevelt – will be led by new principals, the district announced. Ariel Lajara will join Munoz-Marin in the Fairhill neighborhood in North Philadelphia. An assistant principal at Olney Charter High School, Lajara grew up in North Philadelphia. Matthew Hayes, a former science teacher and dean of students at Roosevelt Elementary, will become principal at the Mount Airy school. He is an assistant principal in Manheim Township School District in Lancaster. Both principals were selected for their demonstrated commitment to turnaround school leadership, the district said in a statement. At the two other elementary schools – S. Weir Mitchell in Kingsessing and E.W. 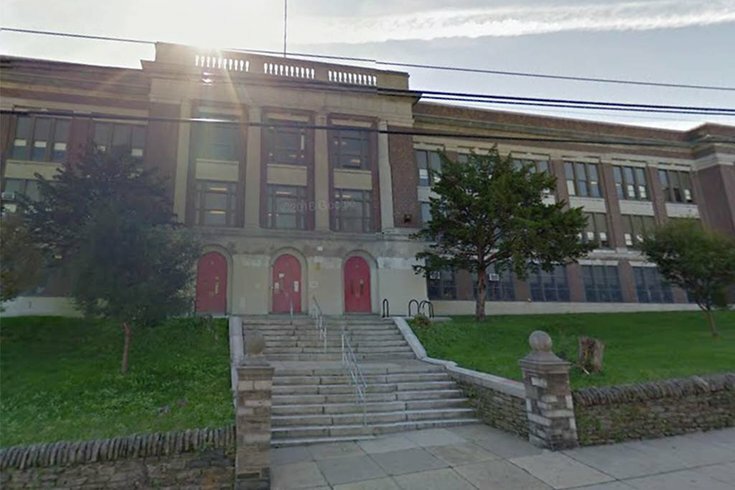 Rhodes in Strawberry Mansion – principals will remain in place to continue their efforts. In her first year at Mitchell, Stephanie Andrewlevich has emphasized collaborative instruction, professional development and parent and community engagement to transform the school’s climate. Andrea Coleman-Hill, principal of Rhodes since 2013, has focused on working with the campus leadership team to drive instruction and building a culture conducive to student learning at the school. The four schools will join the District’s Turnaround Network this fall, using evidence-based strategies and increased investments to improve student performance. A total of 15 schools, including 11 original Promise Academies, will be in the Turnaround Network starting next fall. Cayuga Elementary, a Promise Academy in the current network, will exit due to improved student performance. Lajara and Hayes were selected from a pool of more than 60 applicants, according to the district. They will host parent information sessions in the coming weeks.